We might think that a book about midwifery in London in the 1950s is of little practical relevance today; but how wrong could we be? The true tales which Jennifer Worth (1935- 2011) relates in her Call the Midwife trilogy, now being televised by the BBC, are not as some suppose stories removed from the realities of the present time. They connect very directly with our current lives for at least two critically important reasons. NB Further discussion of ‘Call The Midwife’ as a really successful BBC1 drama series (and about who wrote and performed the music for the drama) can be found on Hilary’s other website, DreamingRealist ~ Call The Midwife: A BBC1 Triumph For Real People. The blog on this website considers issues around delivering professional public service. You are most welcome to add Comment on either post. 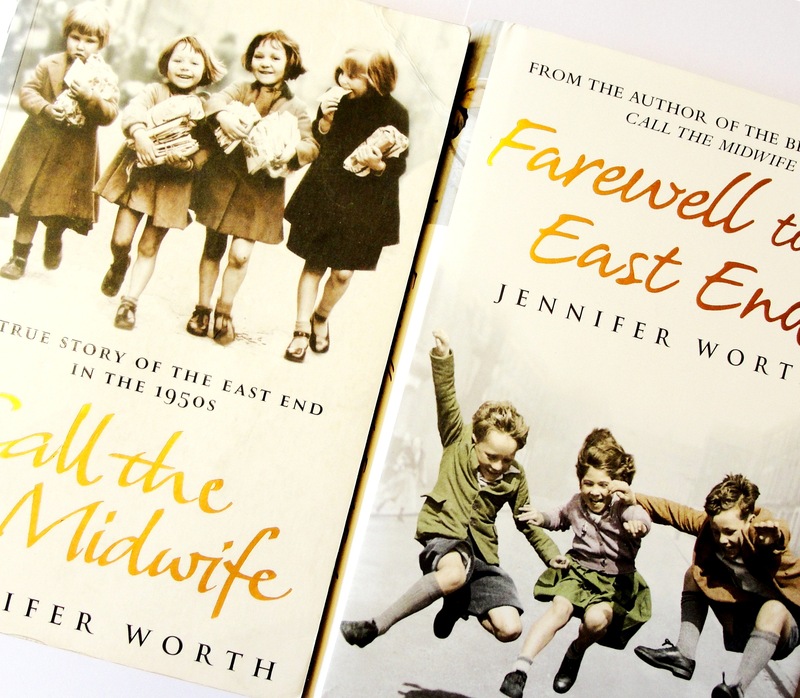 The first reason why Jennifer Worth’s accounts of the grim realities of family life in London’s war-torn East End in the 1950s are critical to our present understanding of public service is that the UK National Health Service was one of the greatest achievements ever for the well-being of the mass of ‘ordinary’ people. Let no-one imagine it wasn’t a big deal. It was (and remains) a history-changing collective leap towards a fundamentally different mode of constructing public service. The second reason is that the experiences of 1950s London which Jennifer Worth relates are still sometimes with us. Mercifully there have been no wars on British soil since 1945 further to destroy the physical fabric of our communities. But awful things do still happen to young families and babies, and the circumstances under which some British children grow up remain unforgivable, in one of the wealthiest nations on earth. ‘Need’ or ‘nice to have’? Perhaps poverty and basic human survival needs are now often less acknowledged than they were in the immediate post-WWII years. Jennifer Worth tells us that few knew about Poplar in the East End of London of the 1950s; but nonetheless almost everyone understood then that money was tight. The most basic human requirements were not always available, regardless of one’s bank balance; food rationing – which at least in theory applied to everyone – didn’t go until 1955. In that sense at a minimum we probably really were All In It Together. There has been a shift towards conflating ‘need’ and ‘would like to have’. Whilst we can debate the desirability or otherwise of this shift – materialistic, yes; but maybe also a vehicle for raising valid ambitions? – the clear downside is that most in mainstream society now genuinely don’t perceive the desperation of those who without enough simply to survive. That basic lack of the essentials for a decent life is at the core of what Jennifer Worth recounts. And for some, hidden away from public view except when there is ‘trouble’, this is still their unremitting experience, every day. There remain enclaves of abject material poverty and almost zero visibility, perhaps most often in the ‘donuts’ of inner cities or in isolated rural locations, where for the women especially empowerment in civil society is beyond comprehension. Yet these same disenfranchised women turn willingly to the midwife when her services are required. Anyone who has worked in early years or Sure Start will be aware of clients who without hesitation admit the local midwife but absolutely no-one else into their homes. This most intimate of public services is accepted trustingly by almost every woman who requires it, regardless of chasms between client and provider of culture, language and whatever else. And by very definition these clients are all prime carers of tiny British future citizens for whom we as a society have enduring responsibility. By defining midwifery as women’s work of no wider relevance, conducted within a silently conspiratorial bubble away from the public eye, we take that same eye way off the ball. Midwives report that in the absence of integrated support they find themselves delivering many other tasks as well as babies; they tell of being asked for help with housing, benefits, school problems and other issues which confront struggling families. But it doesn’t have to be like that. There is currently a badly overstretched midwifery service with worrying implications for infant well-being, and a nation-wide shortage of midwives. Their core expertise, caring for expectant mothers and delivering and nurturing their infants, is enough to expect of our midwives. Beyond that, the public service challenge is to find ways to secure seamless client progress from the privacy of maternity care to the wider remit of child and family care; and from there onwards towards responsible civic engagement. Midwifery demonstrates that virtually everyone will accept public services if these are tailored to need. It’s time to take heed of those midwives, and to blend their intuition and understandings about so-called ‘hard-to-reach’ clients (is it them; or is it us?) into the canon of generic public service. At the very least, Jennifer Worth’s work offers a chance for practitioners in every part of provision, from education and health providers to housing and town planning professionals, to consider afresh what the world looks like from the vantage point of the most vulnerable, whether in the 1950s or now. What starts in the delivery room must move on through the home, school and community into the place of work. Any public service which loses the trust of some clients before their children even reach nursery class is one which also fundamentally breaches the trust for long thereafter of its smallest future citizens. A version of the piece above, on professional challenges, first appeared in the New Start on-line magazine of 18 January 2012. Further discussion of ‘Call The Midwife’ as a successful BBC1 drama series can be found on Hilary’s other website, DreamingRealist ~ Call The Midwife: A BBC1 Triumph For Real People. Thanks for the comment Jax; couldn’t agree more. And really great to see a reminder of why the NHS is soooo important. PS I have to add, now the series is in full swing, that it’s great to see a major TV series in which virtually all the main characters are, for very proper contextual reasons, actually women. Excellent performances by e.g. Jenny Agutter, Miranda Hart, Jessica Raine and (as voice-over) Vanessa Redgrave, plus a woman author and women producers. Maybe this tells us something about seeing life as it really is? hi yes it is a fact , Father Joe was a Poplar boy , he was my great uncle . I am the grand-daughter of his sister, Doll , who is mentioned in his book. i am glad it has been noted. i have signed copies of his autobiography. I would like to know why Father Joe Williamson was portrayed as being Irish. He was born in Arcadia Street, Poplar, East London. I knew Father Joe as his brother George was in my extended family. Was it maybe to suggest that he was a Catholic priest? he was a POPLAR boy , my great uncle, i don’t understand why he was portrayed as IRISH, he wasn’t a Catholic priest . i lived in the house in POPLAR where his mother lived, with my father, his nephew, and my grandmother his sister. The whole of my Dad’s family came from Poplar and Stepney and Father Joe was a relative – I think his mother’s sister called Sarah Payne was my great grandmother. ‘Father Joe’ was certainly from Poplar. If anyone knows of the Payne family I would appreciate contact as only managed to prove my one line..
thought miranda hart’s performance last night was excellent – had pathos, humour, empathy – everything. Bet you it gets an award! Thanks BBC for a brilliant Sunday night programme – at last! I love it!!! I’m sure I saw on television this story. I can’t remember if it was a series or a film. When I’m watching the series I know what’s coming next some of the time. Hi just to inform you that I trained and worked as a Midwife in the seventies with the Nuns in Poplar,Bow and Isle of Dogs. I also cycled for 3 yrs on the job. I worked with them as a Community Midwfe from 1972-1979. You may not remember me but I was a student midwife, doing part 2 with the Nuns in 1972. You were there as was Doris( don`t remember her surname). As a teenager growing up in London and Kent in the 50/60s, I can relate to the atmosphere created in this absolutely wonderful drama. The acting is second to none; I look forward with enthusiasm to the coming weeks’ broadcasts. Well done to the writer for her foresight in seeing that the book would make such a superb production. Does anyone know who sings the version of “you belong to me” in this show – I don’t watch telly but Lynda at work wants to know! We are enjoying the series too and madly looked to find out who sang ‘You Belong To Me’ and pretty sure it was a group from the 50s called ‘The Duprees’ You can hear it on You Tube. The other song ‘Embraceable You’ was sang by the Solitaires. Hope this helps your friend. This is such a lovely programme and one of the type that the BBC really excel at. One that can be watched by the whole family (even the birth scenes!). It makes such a change to some of the rubbish that is on at the moment. Keep up the good work – and the quality. I have very enjoyed the first two episodes and look forward to the next Sunday evenings. I have even bought the book! The acting is superb and the stories are excellent! Well done BBC! I just wanted to say how much I am enjoying Call the Midwives. I was mortified when Larkrise to Candleford came to an end and wondered what could replace such a great series and what could I watch to fill the gap in my Sunday evenings. Well, Call the Midwife certainly does and I just wanted to add how brilliant Miranda Hart was last week. Really looking forward to the rest of the series and am so glad to hear that another series has been commissioned. Well done BBC. Loving it and loving the music. Brings back memories of my father singing these songs. My father sang in a group in the 50’s called the Hough brothers and the theme could be mistaken for them. It brings back memories. Thanks BBC. just watched the latest episode, and it was brilliant! acting is great the detail is spot on and i cried when Joe passed away….and when she gave birth to the black baby and the hubby’s reaction, just fabulous! all of the actor’s should be proud of this programme….can’t wait for next week’s, thank you BBc. Thank you so much for the great comments here about this really excellent BBC TV1 Sunday evening series ‘Call the Midwife’. In case anyone’s interested, I’ve now also posted a blog about why people love the series so much on my other website, Dreaming Realist. I’ve entitled the post Call The Midwife: A BBC1 Triumph For Real People. Your comments are very welcome on that website too. What a fantastic program,more please. Loving the series, even my husband is enjoying it. Just a query, please, when the expectant mothers belly was measured in last nights programme the measurement was given in centimetres, Would this be correct? Excellent series. My wife used to be a midwife until 2009. She was suprised at the use of centimetres rather than inches. She was also disappointed in how black the ‘mixed race’ baby was. Maybe it was artistic licence. I noticed the centimetres reference and not inches, I am sure that can’t be correct, I do hope they haven’t used centimetres just to be politically correct now we’re supposedly metric. We know what an inch is! Lets see how much false depiction is portrayed this week about the people of the east end….what a load of condescending patronising crap ! but clearly everyone seems to be brain washed by reading this exaggerated drivel and into believing that these middle class halo clad mid wives came to the aid of the ‘poor un-educated ‘ people of the East End to save them from the Abyss that was the poverty of the East end !! Honestly! What would we have done without them?!! When is someone going to write a true account of how life was for people in those days ? But oh no wait what would be the point as the BBC wouldn’t want to broadcast that, it would rather please those who prefer to believe all this crap was true! I’ve said it before and I’ll say it again the author should be hanging her head in shame! And much of what we are told in this series of stories relates closely too of course with the work also in the 1950s / 60s of people such as the social researchers Willmott and Young, who published their findings in a number of books including ‘Family Life in East London’. I agree with you Mary. My mother told me her midwives were “tin-pot Hitlers”. We lived in South London and would be considered middle-class working family. Most mothers just got on with the uncaring and abrupt attitudes from both midwives and doctors in those days. The car used tonight part 3 was well advance of its time. Car 5778NK is a green Rover 100 saloon and its year of manufacture was 04/01/1961. So he had a car from the future and not from the 50’s. But I love the show. Does anyone know the name of the piece of music played on the violin in tonights show? Thanks,Nicky. I think the piece is more often played on the cello: http://www.youtube.com/watch?v=zNbXuFBjncw. This cello version is performed by Yo-Yo Ma. It’s The Swan by Saint-Saens. Maybe others know of a violin solo version? Just watched this on you tube, it was amazing. Thanks so much.Kind regards ,Nicky. That was no violin, it was a ‘cello we heard playing in the programme. I expect ithe Swan can be transcribed and played on the violin, but I have never heard it. I have just searched though Jennifer Worth’s book and there is no mention of any piece of music played by the beautiful woman who died of eclampsia. I just checked, and in fact it was The Swan which we saw played on the violin (about 7 or 8 mins into the programme: http://www.bbc.co.uk/iplayer/episode/b01bzs2l/Call_the_Midwife_Episode_4/), but obviously in a different key to that used in the Yo Yo Ma normal cello version. I don’t recall any mention of this piece of music in the book, either, but Jennifer Worth did of course move from midwifery to become a professional classical musician, so perhaps she told someone about it when they were planning the programme? Or maybe someone just thought it was nice…? can you tell me please the name of the intro song? Thank you Hilary for the research, I have looked at the clip again and you are right she did play the Swan on the violin. I have just finished reading the book and I can’t stop talking about it to anyone I meet. Only one more episode! So sad!! Please try to persuade the BBC to make a follow on! Thanks to you, too, Zsuzsanna… and you’ll be delighted to know, we gather there will indeed be a follow-up series! Couldn’t agree more that this is excellent news! Trixie is based on my grandmother. I love how the character is so well depicted. Send me any questions you may want to ask her about her experience with Jenny. Hannah, how lovely!! I’m sure people will indeed have questions…. Thank you so much. I love this series, it reminds me of my childhood, I was born in 52 my mother had 8 children, I was the eldest, all except one were born at home with a midwife attending. This series makes me realise how lucky we women are today to have the fantastic hospital treatment we have today, although my youngest child (no 4) was born at home with my husband and mother in attendance. The child a boy who is now 27 was not due for another 6 weeks but decided to make an early appearance on Christmas night/boxing day. He arrived before the ambulance/doctor arrived and thankfully was safely delivered. Love the music, especially the voilin piece and so glad I looked up this site to find out the name of the music. I intend to get this piece of music. Thank you for a great series, glad it will be back. I agree with Mary – “….what a load of condescending patronising crap ! ” I read the book ‘Shadows of the Workhouse’ based on her short stint as a district nurse and it seemed to me that she used the old man and his reminiscences to weave some fantasy around herself. She even quotes the ‘Say that Jenny kissed me’ poem as she recounts her final meeting with the old man when he’s moved into a care home. Really gutted this series has finished! BRING BACK ANOTHER SERIES…PLEASE!!! Please, please, please…..can we have a CD of the music of Call he Midwife! I enjoyed this series immensely and hope to see more of it. I wonder if the order of Anglican nuns portrayed in the series is based upon the Sisters of St. Margaret who were a nursing order at that time and had their Motherhouse in East Grinstead. Does anyone know? I see this from a different angle. My Mum qualified as a nurse in 1956. She now lives in a care home as she suffers from dementia. This programme brings to life what her world would have been like as a young nurse. It gives me ideas for ways to stimulate her memory of that time just before I was born. I am working to create a 1950s memory room at her carehome so I am using the programme for ideas for items to include in the room. All donations are gratefully received and ideas appreciated! Having watched the programme I think they’ have slipped up on the Scouting issue. As a wolf cub you would salute with two open fingers, by saluting with two closed fingers you are using the brownie salute. A small issue but a correct issue.